After several meetings, the UAAP Board has finally decided to push through with its plan of implementing a rookie draft for incoming men’s college basketball players starting academic year 2016-2017. Amidst a recent wave of controversies in the recruitment of blue-chip recruits, the UAAP Board believes that the draft would help in easing the accusations of ‘pirating’placed on several well-known universities, as well as level the competition between its member teams. This year alone saw perennial contenders DLSU nab five of this year’s top-rated prospects, a recent development that shocked stakeholders within the association. “The draft ensures that the country’s most talented young players will be spread out to different universities where they will have the chance to showcase their abilities and skills in their own team,” remarks UAAP season 77 commissioner Andy Jao. He also stressed the importance of competitiveness in a league long dominated by teams who had the edge in the recruiting process. “With no single varsity team having the monopoly on the best recruits, all of the schools have a chance to contend for a title, which makes for very entertaining games in the future,” he says. In voting for the proposal, Adamson, FEU, UST, and UP were in favor of the decision. On the opposite end of the spectrum, Ateneo, La Salle, and NU voted against it. Season 77 hosts UE abstained from deciding. Guidelines for the draft were already agreed upon during the meeting. It will be composed of three rounds with each school having a pick per round. Teams can opt not to use their pick. Drafting order will depend on the school’s season record, with the worst team getting the first pick while the champion team selects last. Trading of picks is not allowed.No school is permitted to pre-enlist a player for their roster without going through the draft. Applications for the draft open right after the UAAP basketball season. Candidates will undergo evaluation from scouts and school officials weeks before the draft night. When selected, the player is required to suit up for the school that chose him. Should the player decide to join another UAAP squad, he will be forced to sit-out the next two seasons as penalty. Every player that wants to play in the UAAP will have to enter the draft, even when not picked. Undrafted hopefuls are allowed to play for any university should they be approached by them. Schools can take as many unselected prospects as they want as long as they meet eligibility requirements. The move was met with mixed reactions from the sports community. A representative from UST lauded the decision, stating that all schools have a fair shot of landing a talented prospect. “We no longer have to resort to waiting when getting a highly touted player, all of us have the same chances,” he says. On the other hand, a representative from La Salle was perplexed by the decision. He argues that students should have the right to choose which school they want to represent. “The players will be deprived of the right of choice, maybe basketball wasn’t the only thing in mind when they made their decisions,” says the outspoken official. Several basketball players also voiced out their disgust with the move, with UAAP stars Jeron Teng and Kiefer Ravena among the biggest critics of the draft. Teng states that implementing the draft wouldn’t make them any different from professionals. Ravena on the other hand, worries for high school athletes having to suit up half-heartedly for institutions they were forced to enter. 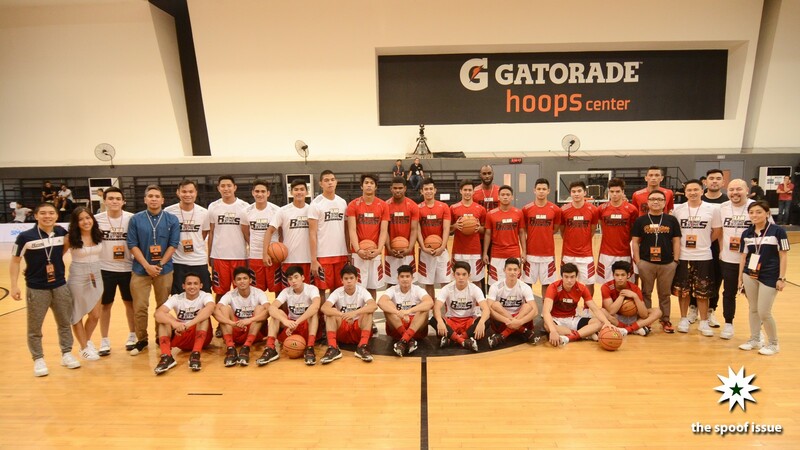 In 2013, the UAAP was at the center of another controversy after imposing a two-year red-shirting punishment on UAAP high school players that will transfer to another UAAP school for college. Unless granted a release by his former team, the athlete will have to sit-out the first two years of his eligibility, leaving him with only three playing years left. Ateneo’s Jerie Pingoy became the first victim of the ruling when he made the choice to transfer after an illustrious career with the FEU-Diliman Baby Tamaraws. Much like Pingoy’s case, the proposed draft has caught the attention of Senator Pia Cayetano, who plans to take action against the UAAP once more. No legal proceedings have occurred as of press time.